The Cotusal is a simple matter of administrative management of almost banal contracts, as it exists everywhere in Tunisia and in the world. That case was swollen like a balloon by the Tunisian opposition to draw from it the glory of the denunciation, but which did nothing but serve the government, making it suddenly the “superman” of the defense of the interests of the Nation at a lower cost. It is clear that the Tunisian Prime Minister has only deflated the balloon of an opposition that offers him the glory. First of all, the decision to terminate Cotusal’s contract will not put an end to this company’s activity in Tunisia. The decision of the Prime Minister affects actually only two concessions, that of Sfax and that of Sousse, of a company that has others and therefore will continue to operate thme, including Zarzis and Mghira, Tunis. The two contracts ending in 2029 are the only ones governed by the 1949 agreement. The two other Cotusal concessions are governed by the Mining Code of 2013 and are therefore regular. The decision to terminate the concession contract of Sfax and Sousse is first sovereign and then clearly provided for in Article 3 of that agreement, which clearly states that “at the end of this 15-year period, unless terminated by one of the parties, at least 10 years before the expiry of the current extension period, the concession will be renewed for a period of 15 years”. However, if it had to be terminated before the revolution, it should have been done in 2004. Having therefore been de facto renewed, and for lack of termination during the Ben Ali era, any termination had to be made at the risk of founding themselves before courts ten years before the end of the contract, that is to say, in 2019. That is what Youssef Chahed’s government did just in time and before the regulatory deadlines were exceeded. Cotusal is however a company, under Tunisian law it should be specified, where a French party certainly holds a simple majority of capital (64%, after redemption of other holdings, US, Swiss and German in particular). 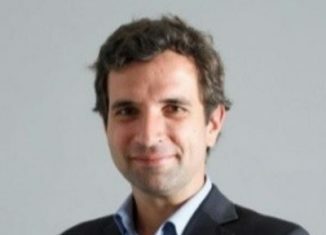 The company, legally Tunisian, where the negotiator of independence agreements, Tahar Ben Ammar, was a director and whose board had been at a time chaired by the not less known nationalist leader Hamadi Badra, is nevertheless controlled at 35% by local companies such as BT (Banque de Tunisie), STB (Société Tunisienne de Banque), BNA (Banque Nationale Agricole), La Carte insurance, or El Bouniane, and various Tunisian individuals. 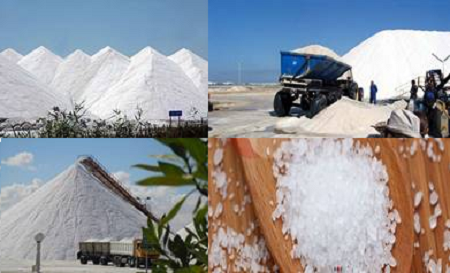 Created in 1949, Cotusal, which is far from being the only operator, even foreign, in the field of salt in Tunisia, remains a major player in the production of sea salt in Tunisia. Its annual production of sea salt, which reaches one million tons in 2017, supplies a local market of more than 125,000 tons. The company has a geographic footprint that covers the entire territory, and specializes almost in the production and delivery of sea salt. The Tunisian company exports more than 700,000 tons, employs 430 people and generates 1,000 indirect jobs in Tunisia. All this dissipates a bit the smokiness of the opposition which spoke of the Cotusal as the company of the French colonizer who eats the salt of Tunisia. What after the contract termination! 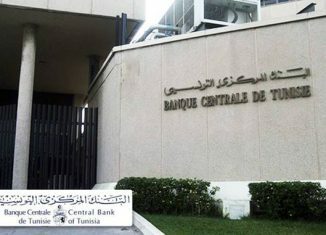 On Wednesday, February 27, 2019, it is the Tunisian Minister of Industry who received the officials of the Cotusal and put them, orally, informed of the decision of the Prime Minister. At the Cotusal, they cope with and they wait for the written document of the decision of Youssef Chahed, with no comment other than this one: “we do not know yet the ins and outs of the decision. So we expect to have the explanatory letter, “which the spokesman for the government seems to exclude already, invoking the sovereign nature of his decision. The letter terminating the contract indeed arrived on the morning of Thursday February 28, 2019, in Cotusal and without any other form of explanation. Contacted by AfricanManager, Foued Lakhoua ventures however to say that “this decision would have pleased us, if there was migration to another system”. He added “we have confirmed since 2005 our wish to abandon the convention of 1949 which does not bring us any privilege and wished to be subjected to the rules of the Mining Code of 2003, which we have always been refused. Moreover, if this code were applied to the 1949 Convention where the price of the concession was 1 franc per hectare, the annual financial impact for the State would be only 5,300 DT, on the basis of 1.7 DT the hourly Smig x 3,000 hectares. However, the Tunisian state also levies the corporate tax, its share of profits which is 2.5 MD. The dry loss, for the Tunisian state, on the concessions of Sfax and Sousse will certainly be 1.6 MD, on a turnover in 2017 of 55 MD. Under the mining code of 2003, the State could have collected between 45 and 50 MD per year. 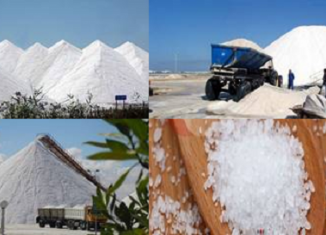 If we have well understood Iyed Dahmani, who was talking about the Cotusal this morning of Thursday, February 28, 2019 on a private radio, the two saline concessions of Sousse and Sfax should be the subject a new call for tenders from 2029. And unless you change the 2003 mining code, which is currently underway, the Tunisian state should not get much more money than it currently does. What is equally certain, in our opinion, is that even in the event of a new call for tenders, Cotusal will remain the best positioned.